In addition to this, the system has many other features such as the home page overview panels, group creation and the calendar. You can find overview videos of some of the modules below. You can view and add tasks via contacts or via the integral CRM calendar, which can also be linked to display as a calendar in your chosen e-mail client. One of the major benefits of having an up to date CRM used daily by your company is that you can employ marketing tailored specifically to your clients. And if your client chooses not to receive marketing information - simply mark that client up in the CRM and they will be automatically excluded from marketing shots, even if they're mistakenly included by a user in a distribution list. Any sales focused company needs to know how they have done, how they are doing and how they are going to do. Our system lets you record historical sales figures by stream and combine that with predicted future forecasts, that when combined with targets let you predict future success or avoid any potential short falls. For clients wishing to run events, our system is structured in such a way that you only ever require one CRM, and one client/contact entry. As events/seminars come and go, your CRM will be used to manage your clients for each event/seminar. Use your CRM to communicate event/seminar dates, times and locations dynamically to your invited clients so that they only receive information that is applicable to them. 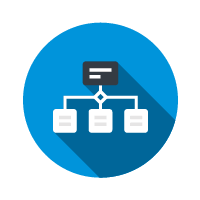 Allocate your clients individually to set categories that you can specify. This helps manage clients by their likelihood to be a sale, their available budget etc. - it's up to you. Some clients have formal Key Performance Indicators used to judge and reward success beyond Targets Hit. Our KPI system tracks activity based on calendar appointments and lets users once a week confirm activity to management in a simple one click pop up window along with any other KPI required. If you have a series of tasks that join up to form a workflow that needs to be completed; we have a system that will let you check progress and what you have in the pipeline.